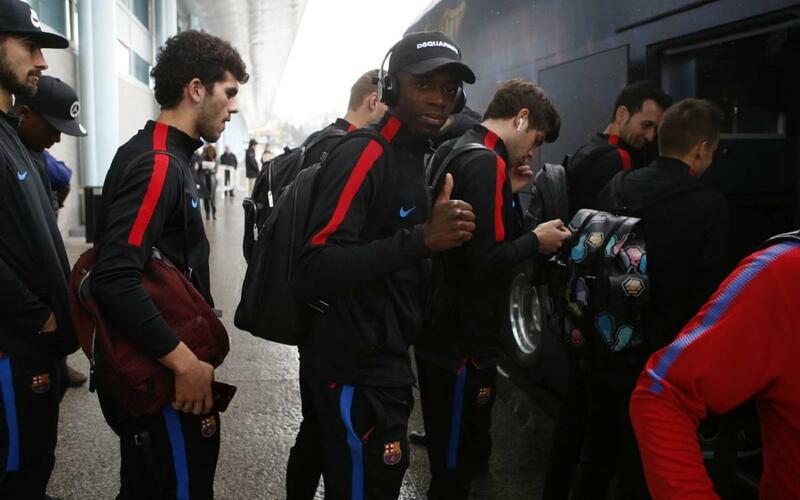 The travelling squad for the Copa del Rey game against Celta Vigo arrived in Galicia the day of the Round of 16 first leg. FC Barcelona arrived in Vigo on Thursday morning, ahead of their Copa del Rey Round of 32 first leg against Celta (7pm CET). Ernesto Valverde's squad departed from Barcelona's El Prat airport at 9:45am, landing in Galicia at 11:15am. Joining the expedition were directors Silvio Elías, Enric Tombas and Emili Rousaud, CEO Òscar Grau, and Guillermo Amor, the club's head of Institutional and Sporting Relations. A total of 18 players have been selected for the cup game, including the returning Ousmane Dembélé -who makes his comeback after three and a half months out through injury. Barça B players Carles Aleñá and Jose Arnaiz are also part of the squad, as the Blaugrana look to progress in the competition they won last year.